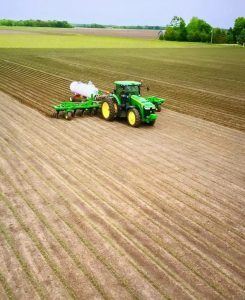 To date, Len’s farm has reduced soil erosion, cut fertilizer use per bushel by half, and adopted satellite-guidance technology in its tractors to reduce fuel and chemical use. All while yield productivity has increased 80 percent. I asked Len to share his insights on sustainable farming, engaging younger farmers and the importance of partnerships. 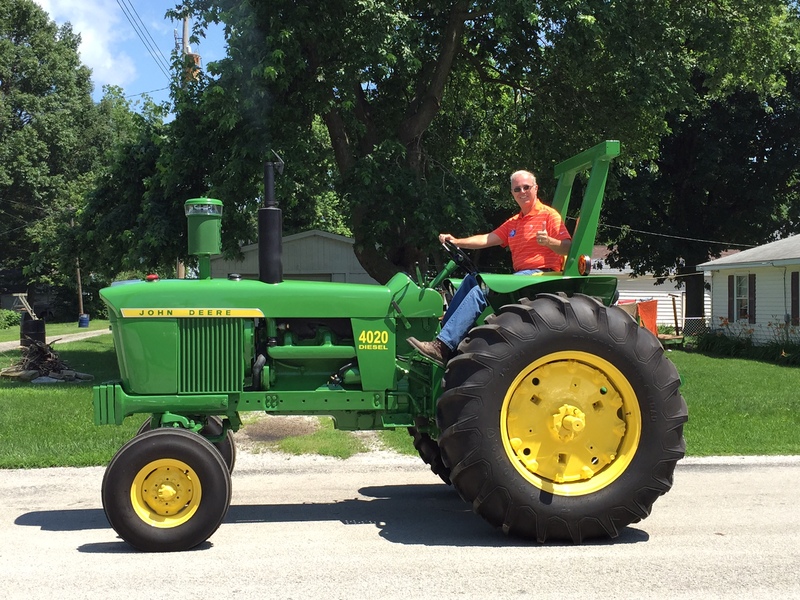 My ancestors arrived in Assumption in the early 1870s and began farming in this very productive area of Illinois. Today we raise some Angus cows but mostly grow soybeans and corn. I came back to the farm after college in 1974, and my son Craig now works with me as well – he represents the sixth generation of Corzines to farm here. It’s a lot of effort to keep a farm within a family, and it doesn’t happen automatically. But this is our livelihood, our income, our heritage and our future. 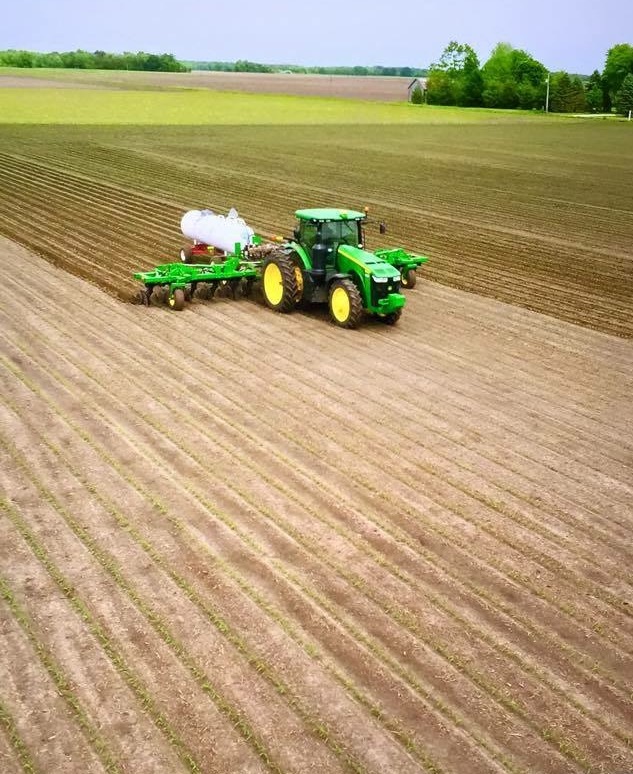 Craig makes just about all of the field decisions about planting and harvesting now, but our motto of leaving the farm better than we found it is still a core value. We’re focused on farming our acres right, and we work really hard at being good stewards of the land. Are you anxious about keeping the farming tradition alive with younger generations? Preparing for the next generation to take over the farm is just a part of the business – you absolutely have to include younger farmers as you move along and help create excitement about agriculture. The good news is that all of the new technology in ag is extremely exciting on its own. Farming used to be somewhat stagnant, but there is a lot of opportunity right now. Watching precision technologies at work from the cab of a tractor creates a tangible excitement for the next generation. I’ve seen that directly in my work with University of Illinois students who come visit our farm – getting out of the classroom is key to fostering an interest in ag – they get to see both traditional and cutting-edge practices first-hand. I understand you are a big advocate of the Soil Health Partnership? Yes! I was involved in leadership with the National Corn Growers Association (NCGA) for a long time, and was glad to see the Soil Health Partnership (SHP) is a branch of NCGA. I also love that Environmental Defense Fund, The Nature Conservancy and Monsanto are involved – to see that linkage of sectors across agriculture is great. We will move forward more quickly if we do it together. SHP is also a way to get out of our silos and work together. The ideas they have to get more local with research – that’s all really important. What happens with my neighbor across the road is more important than if I was to look at info from a company’s research farm. What are some of the conservation practices you are implementing on your farm? We look at the farm as a big experiment, and every year we try a few things differently. With Mother Nature, no two years are exactly alike, so you have to try things for more than one year to see what kind of results you’re going to get. We’ve also been collecting data for a number of years and we’re starting to see trends. That’s why we are tailoring where we put cover crops, moving to minimum till, side dressing our corn, and using biotech traits to reduce or eliminate the need for insecticides. The ultimate goal is to utilize all of the nutrients you have. I advise everyone to get outside experts to help conduct an analysis of the nutrient balance you already have, because nutrient reduction could actually make things worse – you could have more runoff. I like to aim for nutrient loss reduction. And being more efficient also means we’re being better stewards. But we need to remember that to be sustainable, you have to have some profit in there too. Whether you’re in a high price environment or a low one – you still want to be as efficient as you can be. This entry was posted in ecosystems, Sustainable Agriculture and tagged agriculture, agtech, healthy soils, soil conservation, soil health, sustainable. Bookmark the permalink. Both comments and trackbacks are currently closed.